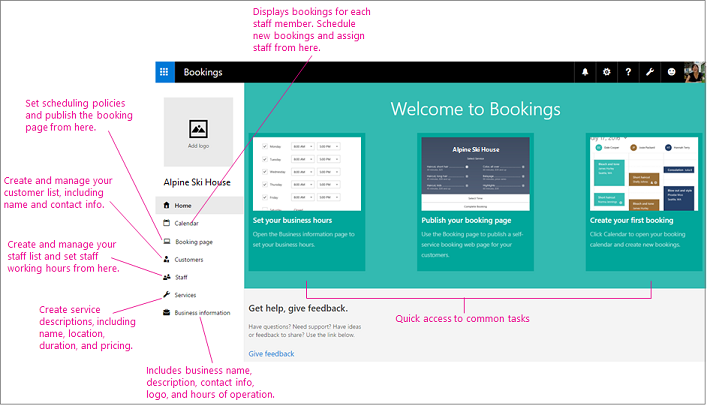 A booking page where your customers can schedule appointments with the staff member who should provide the service. You can show this page on Facebook, where your customers can schedule appointments, or your own web site. 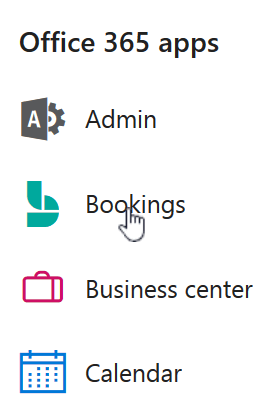 As with all of the Office 365 apps, Bookings is a tile in the app launcher. Click the tile to launch the app. The first time you open the app, you'll see the home page, which includes a left nav and three prominent tiles that guide you through setup and introduce new features. Watch this video or follow the steps below to set up Bookings.